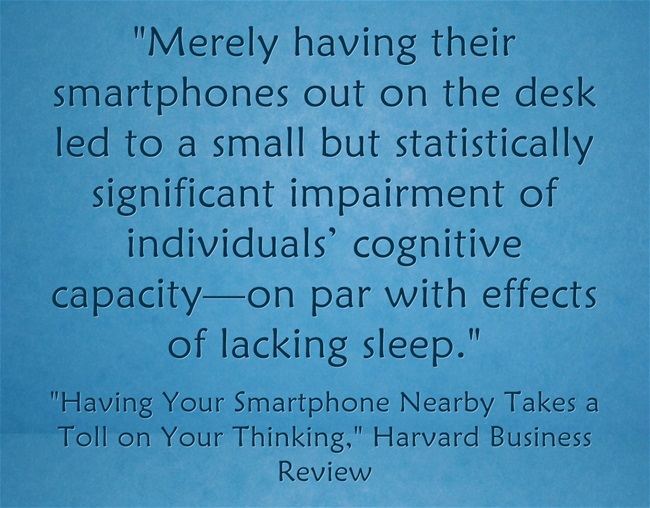 Last year, I shared a summary of a recent study documenting the negative cognitive impact a cellphone has just by leaving it on your desk (see New Study On Cellphones Helpful To Teachers Everywhere). It’s been very helpful in the classroom – now it’s just not me “nagging” students about it because of a school rule! Today, The Harvard Business Review published a short article written by the study’s authors themselves discussing their research, and I’ll definitely be having my Theory of Knowledge students read it as part of our unit on the Human Sciences. I’m adding this info to The Best Posts On Student Cellphone Use In Class — Please Contribute More.